Chevrolet vehicles had a new competitor in the global market in 1997 known as the Venture. The minivan market was hitting record sales the the LA1 series engines were popular for GM. The pairing of a V6 engine and electronic transmission were two of the reasons for success with the Venture. PreownedTransmissions.com provides one of the available resources to find Chevy Venture transmission inventory on the Internet. 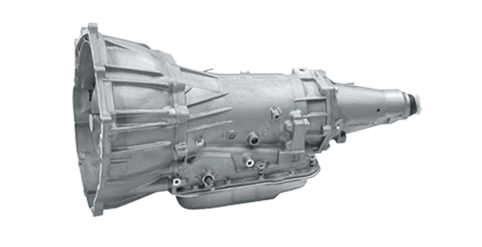 The selected gearbox for the production years of the Venture was the 4T65E. This larger unit was designed exclusively for V6 and higher engines. There are a total of five separate builds for this series. These can be identified using the code on each assembly. The builds in stock through this resource include the M15, MN7, MN3, MD7 and MN3. The replacement for the 4T60E in the Lumina is what set the pace for the production of the improved gearboxes from Chevy. The Grand Prix was the second vehicle series to feature this new automatic four-speed in the U.S. The standard and heavy-duty torque converters that are provided with each OEM build are included in the units posted for sale through this resource. Locating a minivan transmission is not too difficult online. The problem with most resources is that quality is lower than it should be. A reputable dealer will always include a protection coverage plan if parts should fail after sale. Buying preowned gearboxes with a warranty is simple. The Venture gearboxes ready for U.S. sale through this website always include three-year warranties. Buying used auto parts does come with a certain risk for some buyers in the U.S. Sticking to good dealers that provide the best service is a good idea. The gearboxes that are available for orders through PreownedTransmissions.com receive price quotes online. Any person who can enter some basic data about each vehicle type is granted a quote in real time. Tools right on this webpage are ready for instant use. A standard Internet quotation can be compared to the phone quotes that are also offered. A real person takes calls from this website. This means that a trained staff who knows all Chevy transmission codes is available for assistance. Looking up the different codes, VIN numbers and accurate pricing is performed in real time. Obtaining a quick quote is one of the perks available here.